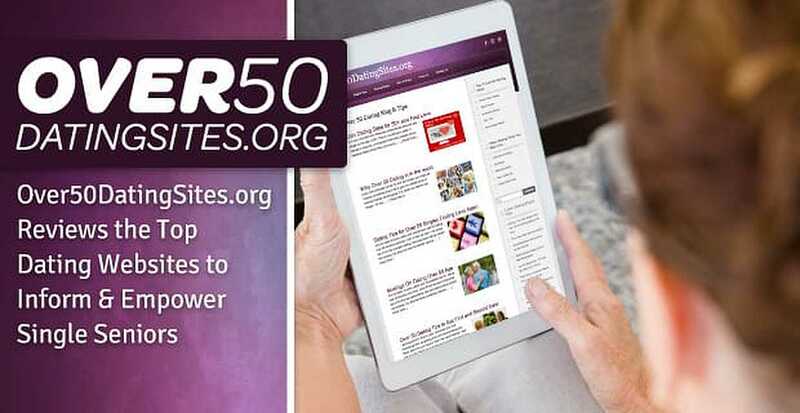 The Short Version: Over50DatingSites.org ranks the top five dating sites to help senior daters make the best decision for them. The concise reviews and blog posts provide expert tips on what new users can expect when seeking romance on a dating platform. You can read the site’s full reviews to learn more about the costs, features, quality, value, and other aspects of popular dating sites geared toward the over-50 population. Over50DatingSites.org breaks everything down into easy-to-understand terms. Whether you’re wondering which site to choose or how to stay safe online, you can find clear and helpful answers on Over50DatingSites.org. For many people, hitting 50 is a major milestone — and not always a welcome one. My dad was sullen at his surprise 50th birthday party because his little sister had blown up a photo of him when he was 25. He was a good-looking, brown-haired, bright-eyed law student. “Where did this guy go?” the caption read. Ouch. Turning 50 often makes people reassess themselves and what they’ve done with their lives. For singles, this is doubly true. Singles over 50 often feel self-conscious about their age and looks — worrying that their wrinkles or gray hairs will put them at a disadvantage in the youthful dating scene. How can they compete with someone decades younger than them? Thankfully, online dating offers senior daters an age-appropriate solution. On senior dating sites, many people of a certain age enroll, chat, and mingle in hopes of finding a second chance at love. Effective online resources can connect daters over 50 with a new friend or love interest within a few clicks, so no one has to spend their golden years alone. If you know where to go, you can easily find romance online, and Over50DatingSites.org can quickly direct you to the best dating resources available on the web. Over50DatingSites.org provides a thorough overview of popular dating sites for seniors. Over50DatingSites.org is packed with useful information for online daters over the age of 50. Most of the reviews and articles try to answer a simple question: What can I expect when joining a dating site? The full reviews clearly assess the pros and cons of particular dating sites so senior daters can make an informed choice about where to find romance. Most of the users on Over50DatingSites.org are from developed countries, including the US, Canada, and the UK. More women visit the site than men, and a vast majority of users are retired singles. These people often have a lot of time on their hands to devote to dating and want to learn the ropes before joining a dating site. The reviews on Over50DatingSites.org include star ratings scored by users and dating experts. What’s great about Over50DatingSites.org is that all the information you need is neatly laid out for you within a few pages. You don’t have to go searching for what you need. You can read brief reviews on the homepage and click “Read Full Review” if you want to dig deeper into the site’s features, functionality, membership stats, and other important aspects. The site’s team handpicks the cream of the online dating crop and only posts reviews to a select few platforms known for their effectiveness, trustworthiness, and customer service. In addition to helping senior daters pick the right dating site, Over50DatingSites.org also provides tips to help them navigate the modern dating scene, in general. The Over 50 Dating Blog & Tips section outlines the basic do’s and don’ts of finding love once you’ve reached a certain age. The Over50DatingSites.org blog gives spot-on dating advice for seniors. These helpful articles provide relatable musings and encouraging tidbits to give senior daters insight into how online romance works. The writers often recognize that some readers may view dating sites with trepidation and skepticism, so they do their best to reassure folks that it’s actually one of the most effective and time-saving ways to meet people. When he turned 50, my dad acted as if it were the end of the world, but it was actually the beginning of a new chapter for our family. Growing older can prompt you to reflect on your life and focus on what’s important to you. For single folks, that usually means joining the dating scene in search of a lifelong companion. If you’re wondering which dating site to enroll in, you can read through Over50DatingSites.org’s full reviews to figure out which sites suit your needs. The reviews pages and blog posts can help readers put together a successful game plan in the online dating world and have a great experience on a top-notch dating site that has worked for others and can work for you.